So last winter we were all going a little bit nuts staying indoors as much as we did. The group was all about 20 to 22 months and if I did take them outside they lasted for about 10mins and most of it was crying from the cold and a lot of falling down. I'm hoping this winter will be a lot different! 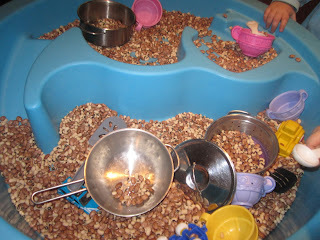 To keep us busy I brought our water table inside and filled it with beans. I prepared myself in advance for the mess but was willing to risk it to keep them happy! It turned out to be great fun and kept the kids busy for hours! I switched the toys daily so that some days we were pretending to cook and other days we were using diggers and trucks. They did make a lot of messes but that also led to fun because I let them use the broom and dust pan to clean it up and believe it or not they sometimes fought over that job! 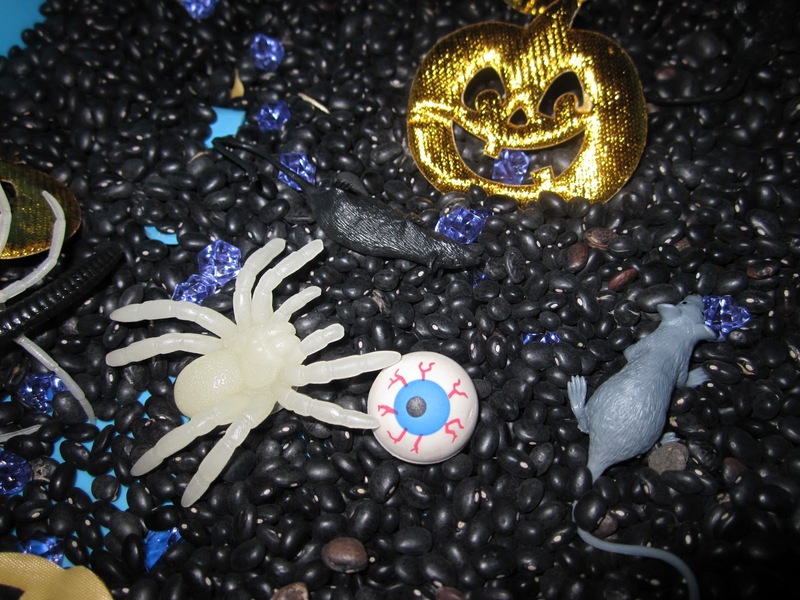 This Halloween I did a sensory table that had the same results! Even I couldn't resist playing in it a few times! I am going to try to do monthly sensory tables so check back for idea's!